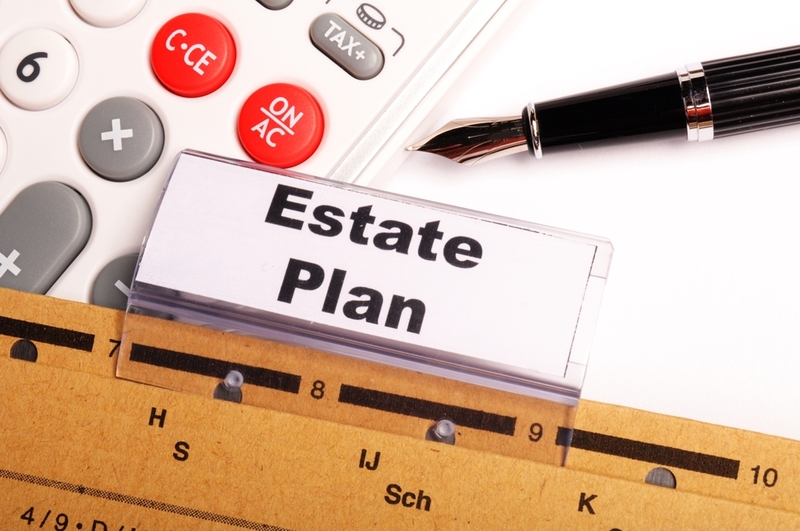 Because there are so many ways that your wealth and assets can be passed on to your surviving family members and other heirs, it is easy to ruin even carefully thought-out estate plans. Your last will and testament may not be the final word on how assets are distributed to others, although many people mistakenly believe this is the case. Beneficiary designations on financial products, for instance, can override your will, and many common estate planning pitfalls may cause heartache and infighting among family members. Protect yourself by getting to know the major “land mines” that can potentially blow up your estate plan. Estate planning does not lend itself to a piecemeal approach. Thoroughly organizing and reviewing all of your assets at the same time with appropriate professionals like certified financial planners, bank trust officers, or experienced estate attorneys like us here at May, May & Zimmerman is critical. Coordination is the name of the game in estate planning—coordination of your assets and coordination with professionals to help you get and stay organized over time. All of the following points that may potentially trip you up really do come back to this simple principle. Has it been a while since you wrote or thought about your will? Beyond a piecemeal approach to planning, one of the biggest enemies of your estate is the simple passage of time—that is, if you’ve spent that time ignoring the changes that life brings us. Perhaps you have a meticulously laid out will, but you haven’t reviewed it in a decade or so. Life happens, and you are busy with other things, but allowing your estate plan to sit ignored for years is not wise. People you would like to leave money and property to have probably shifted in that time, right? The fabric of families changes with divorces and remarriages, births of grandchildren and great-grandchildren, and even with unfortunate fall-outs between individuals. If the worst were to happen tomorrow, important people in your life could be left out as heirs to your estate if you take the attitude of “set it and forget it” with regard to your will and overall estate plan. One of the primary ways your intended heirs may be left out is through problems with beneficiary designations. These should regularly be reviewed to assure that changing family dynamics don’t lead to the wrong person inheriting specific assets. As we’ve written about in the past here on the blog, the problem with beneficiary designations is that they override the provisions of your will regardless of whether they reflect your current wishes. These designations are an option on assets like US Savings Bonds, life insurance policies, securities like stocks, bonds, and mutual funds in brokerage accounts, IRAs, 401Ks, company retirement accounts, company savings plans, and other financial accounts you may not realize. Further, did you know that naming a disabled child as a beneficiary of an account might result in the disqualification of that individual for government benefits? Adding a minor as a beneficiary might result in the need to petition the court to appoint a guardian for that minor—an annoying expense that can be avoided if the account is a probate asset passing to a guardian named under the will for the benefit of the minor instead. Beneficiary designations can be a useful estate planning tool, but they need to be carefully thought out while consulting with a qualified professional resource. Related to beneficiary designation issues, some financial accounts may have “transfer on death” (TOD) registrations, which are created to bypass your probate estate. Assets with TOD registrations are not governed by the terms of your last will and testament. While you may feel that circumventing probate is appropriate for some assets, the unfortunate side effect of these registrations may be asset distribution imbalances that you never intended. For example, if you provide for an equal distribution of assets under your will but fail to consider Certificates of Deposit made payable on death to some heirs and not to others, the result may be an imbalance that cannot be resolved. If too many well-meaning individuals have had input into parts of your plan without having the full picture, they may well compromise your entire estate plan. For example, an estate plan that stressed equality in the distribution of assets to children can be upset by adding one child as a joint account holder or as an account beneficiary. Say you have two children, but you add your older child as a joint account holder on a savings account purely for the sake of convenience. If that child survives you, he or she would automatically be entitled to that account. Like accounts with TOD registrations, naming a joint account holder overrides the terms of your last will and testament. Your older child would then be given an asset that is denied to your younger child. Obviously, that creates inequality in your estate that you never intended and may lead to hurt feelings and fighting between your children that you wouldn’t dream of causing. Sadly, unqualified individuals giving clients or customers ideas about account setup parameters are often to blame for these issues. In fact, bank tellers opening accounts have been so commonly known to suggest that an account be jointly registered with a child that an attorney coined the term “bank teller estate destruction.” Don’t let this happen to you by taking advice from unqualified individuals who have no reason to be involved in your estate planning. If you’re just beginning the estate planning process for the first time, or if you would like an expert review of an existing plan that needs some current attention, get in touch with us for a free phone consultation with an attorney experienced in estate law. May, May & Zimmerman’s generations of experience serving clients at home in Lancaster County and beyond informs our deep understanding of all estate and probate legal matters.